CYT Vancouver Presents Aladdin Jr.
VANCOUVER — It’s a story that has captured the imagination of children and adults alike since it first hit the screen in 1992. 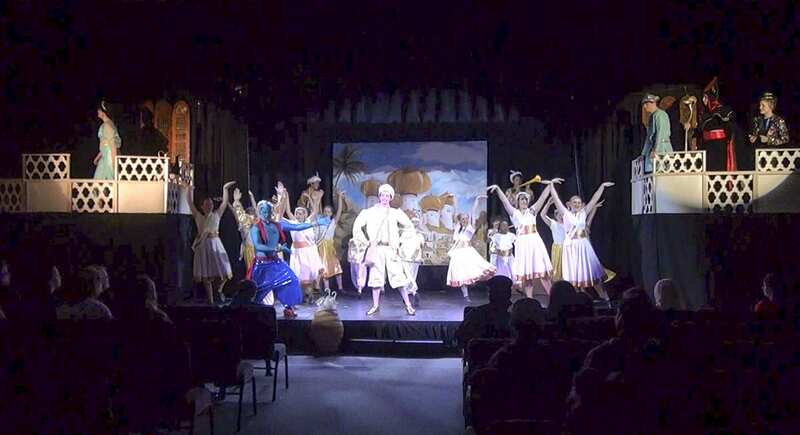 Now, audiences will have the chance to see a live production of Aladdin Jr. right here in Vancouver, thanks to Christian Youth Theater Portland-Vancouver. 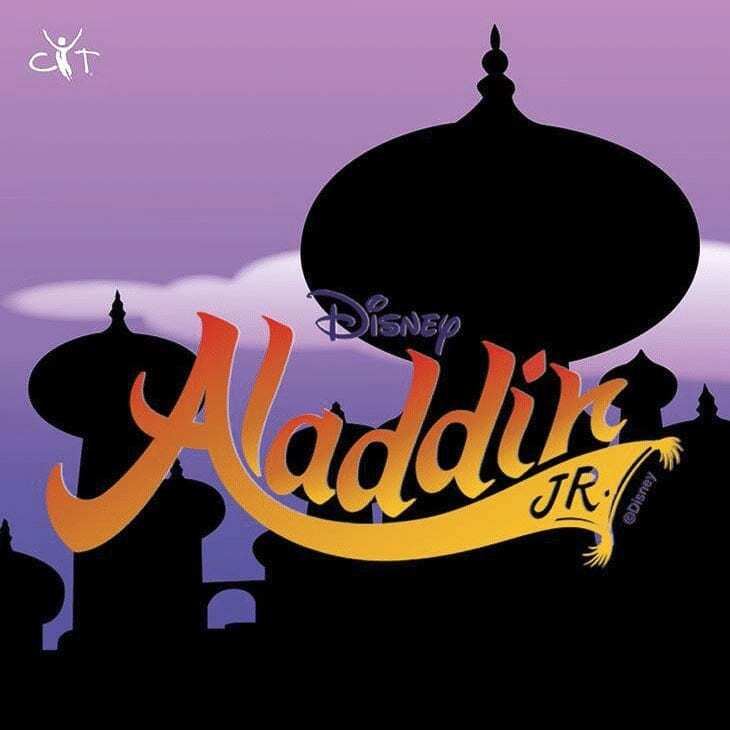 The all new Aladdin Jr. script, which was recently updated from a version inspired by the 1992 film into a version based on the Broadway musical Aladdin, features new songs, new characters, and a classic story. Photo courtesy of CYT Portland-Vancouver. The all new Aladdin Jr. script, which was recently updated from a version inspired by the 1992 film into a version based on the Broadway musical Aladdin, features new songs, new characters, and the classic tale of a street rat, a magical Genie, and a princess who longs to make decisions for herself. CYT’s production of Aladdin Jr. will be the first theater production in the Clark County area to use the updated script, which was released in January by Musical Theater International, the company that handles the licensing arrangements for most Disney theatrical productions. “We’re going after the Broadway version, which features some extra songs different than the Disney version,” explains Lindsey Burgener, the actress who plays the part of Princess Jasmine in the show. Production on this musical performance began eight weeks ago in April, when 25 students, ages 8 to 18, from around the Portland-Vancouver area auditioned and were cast in the show. Jay Tatco-Nowak, the show’s musical director, says that the fast-paced production timeline has been a rewarding challenge for the cast and crew. “We have rehearsals Fridays from 4:30 to 8:30 p.m., Saturdays from 9 a.m. to 2 p.m., and eight weeks of two-day-per-week rehearsals, so we really have to cram everything into a short amount of time,” Tatco-Nowac explains. While it may seem that all this work could be overwhelming for the cast, the directors claim that the children and teens in the show take the challenge in stride. Myronie McKee, the show’s lead director, says she has not only enjoyed watching the students develop this show, but also develop their moral character through their involvement in the show. For Benedict Alexander, whose skin is painted blue for his role as the Genie, it has been a blast from the moment production began. Students ages 8-18 participate in Christian Youth Theater, or CYT. The organization operates under the motto “Developing character one stage at a time.” Photo by Michael McCormic, Jr.
Aladdin Jr. opens this weekend, and the cast and crew have high hopes for the audiences who come to watch, and even higher hopes that the audiences will walk away with something valuable from the show. Melanie Neal, the assistant director and stage manager for the production, says that she sees some parallels between the way Aladdin pretends to be somebody he is not and the use of social media in the modern age. Tickets for Aladdin Jr. are available online for $15 at www.cytportlandvancouver.org or at the door for $18. The show runs from June 1-9 at the Firmly Planted Homeschool Resource Center in Vancouver.